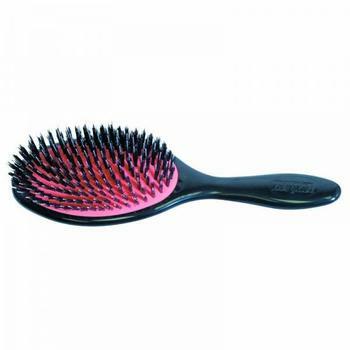 Denman Grooming Brush D81 Grooming Brush featuring natural bristle with'Porcupine Effect'nylon quill in a soft rubber, air-cushioned base. Perfect for detangling hair extensions and hair pieces. Ideal for: Detangling and general grooming of all lengths and types of hair.